With the holidays just around the corner its no wonder we get all worked up into a frenzy trying to avoid the seemingly, inevitable holiday weight gain. We have events to go to, parties to plan and plenty of shopping to do. Who has time to think about cutting back on delicious treats? The holidays are certainly about sharing and reuniting with family and friends. It doesn’t have to be stressful saying yes to all those invitations if you can make a few simple choices that will save you a trip to the store for a larger pair of jeans in 2011. Without further ado I present Nutritiongal’s top ten holiday junk food survival tips. 1.) 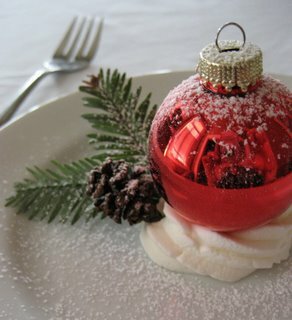 Eat a small balanced meal of carbohydrates, protein and vegetables, such as a turkey sandwich on whole grain bread and a salad, before heading to a cocktail party so that you are not ravenous by the time the first set of pigs in blankets or fried calamari comes your way. 2.) Before you reach for that glass of red make sure to have a club soda/soda water so the wine doesn’t over stimulate your appetite on an empty stomach. You will also feel more hydrated when you reach for that second glass. 3.) That brings us to tip number three. Try to alternate water between alcoholic drinks (if you choose to imbibe). It may save you a headache the next day so that you have energy for that post party workout. 4.) Before you reach for that margarita or pina colada be prepared to consume between 400-800 calories/1700-3300 kilojoules. As an alternative, red wine has far less calories/kilojoules and is filled with antioxidants. If you don’t drink alcohol, cranberry juice is an excellent choice. It is rich in vitamin C and kills harmful bacteria in the urinary tract helping to prevent infections. 5.) Holiday parties are usually filled with all kinds of food. Before you dive in at the nearest table try scoping the place out. You may be pleasantly surprised by a sushi platter or some fresh fruit and vegetables. Foods like these can add balance to the more fried and sugary treats that will be readily available in most places. 6.) With the abundance of delicious food it is easy to over eat. Savor each bite of your food and chew slowly. Try putting your fork down at some points during the meal. 7.) You want to try that delicious piece of cheesecake but you are too full. Sharing is caring and that’s what the holidays are all about. Ask a friend to share. Grab an extra fork and dive in! 8.) No party is complete without music and if it’s dance music, getting out there on the floor is bound to get your heart rate up and burn some extra calories. Have fun! 9.) Do you have a finicky relative who will get offended if you do not try her fried lard dumplings in candied goat blood sauce? Say thank you and try a tiny piece. 10.) Does every party you go to seem to have dairy in every plate and you are allergic? If you can, try asking what the menu is ahead of time. There are bound to be alternatives. When all else fails tip #1 should keep your appetite at bay for most of the night. Even if you don’t follow the above tips and overindulge tomorrow is another day to start fresh with clean and healthy foods. Life is about balance and wouldn’t it be boring if you never ate a piece of cake or a french fry again?